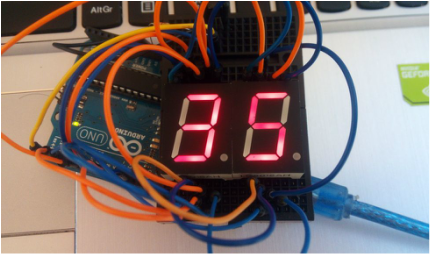 In this tutorial I will show you how to make your own 7 segment - 2 digit - thermometer with Arduino uno and DS18B20 temperature sensor. 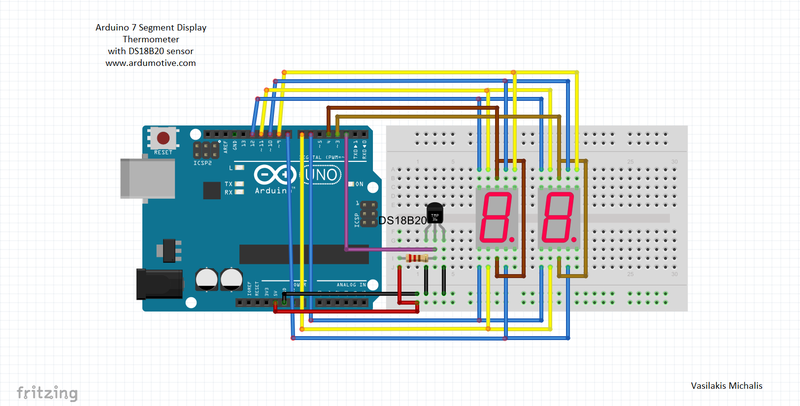 If you make this with Arduino uno board you will need at least 6V battery pack or AC to DC adapter. 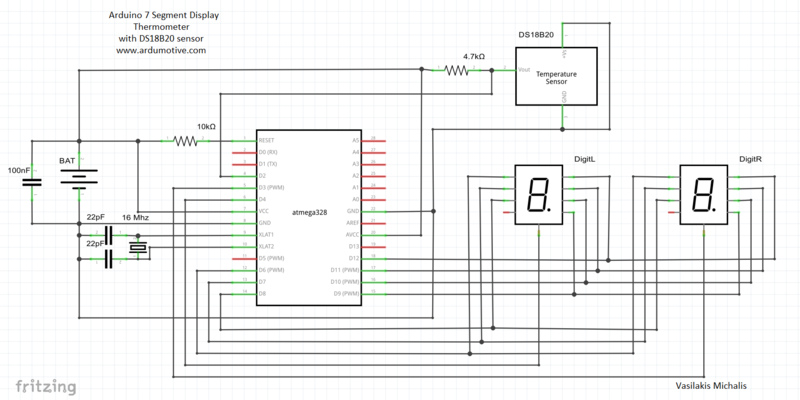 You can also use the USB cable to power on thermometer from your computer. 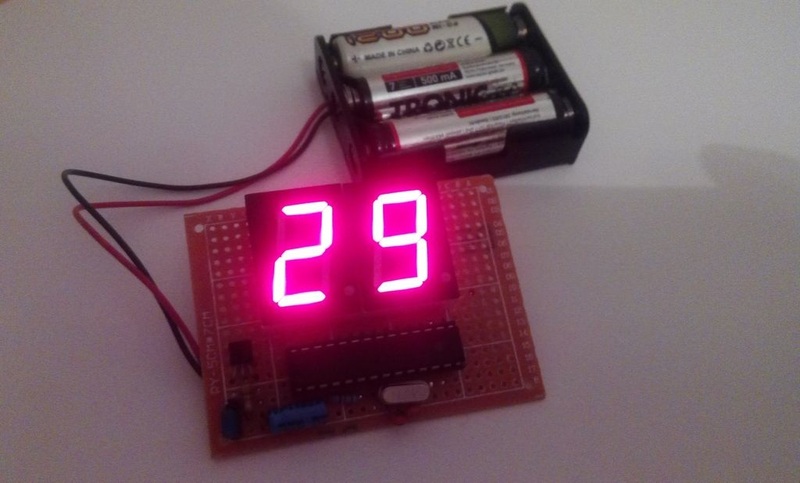 If you prefer the "hard way" and build this without Arduino board you will need 3x AA battery pack. 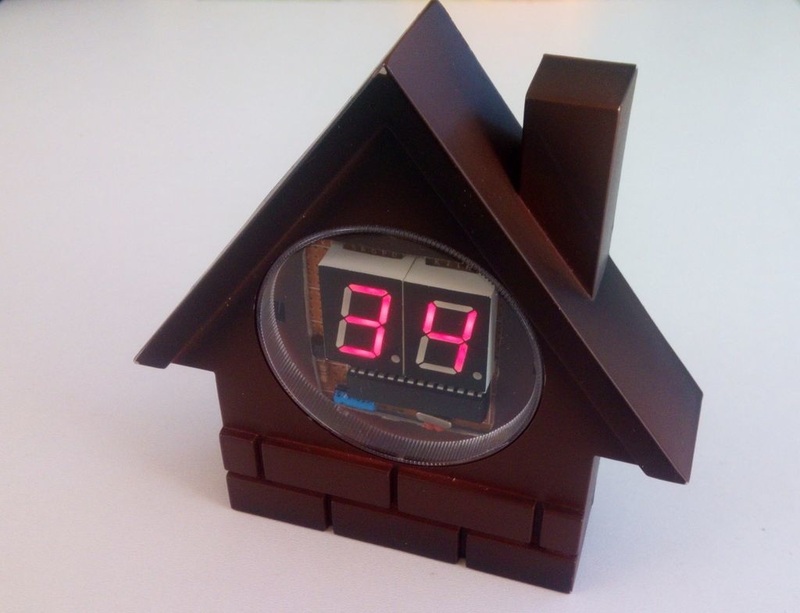 I have an old analog clock in my desk and I transformed it to a nice 7 segment digital thermometer ;) - see the above images.